Armed with MP5 submachine guns and Glock 21 pistols, all the members of the force are also well-versed in Israeli Krav Maga, an unarmed combat style. NEW DELHI: Ahead of the Independence Day, the Delhi Police inducted India's first all-woman Special Weapons and Tactics (SWAT) team for anti-terrorist operations. After rigorous training of around 15 months from specialists all across India and abroad, 36 women commandos from the northeastern states have been inducted into this squad. While 13 members are from Assam, rest of them hail from Arunachal Pradesh, Sikkim and Manipur. Delhi Police Commissioner Amulya Patnaik, who was behind the idea of the SWAT team, said, "The team is ready to take on hostage crises and terror strikes in urban areas. 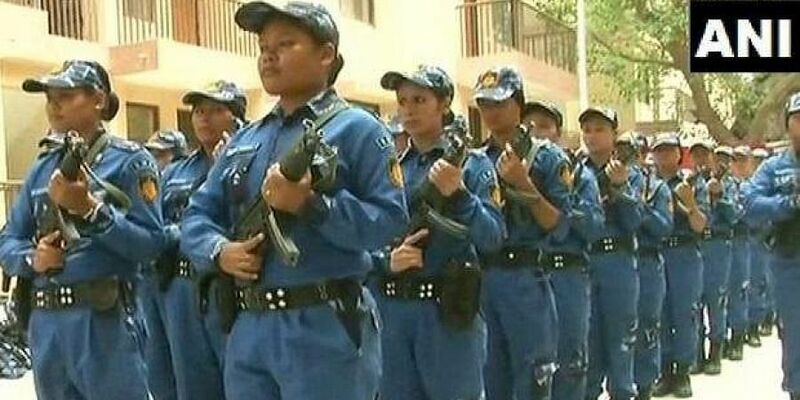 The members of this all-women SWAT team received better ratings at the Police Training College in Jharoda Kalan than their male counterparts." Home Minister Rajnath Singh, who formally inducted the unit on Friday, said that the women commandos will be deployed at Red Fort and India Gate during Independence Day celebrations. Members of this team are experts in building interventions, counter ambush and VVIP security, Deputy Commissioner of Police (DCP) (Special Cell) Pramod Kushwaha said.